Accelerate Driving School - Driving Schools Sinnamon Park provide a wide range of driver education services to Sinnamon Park and the surrounding area, including driving lessons, one-on-one instruction and log books with our qualified instructors. Accelerate driving school prides itself on Safety and Technique and our commitment is to provide you with the best training possible in a professional, reliable and safe environment. 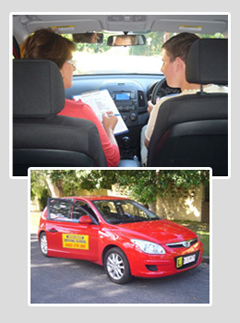 Accelerate Driving School - Driving Schools Sinnamon Park have many years experience in driver education, servicing clients within the Sinnamon Park area. In the course of your lessons you will learn how to pass a Queensland Driving Test. However, our priority will be more focused toward teaching you safety and proper driving techniques. From driving lessons to log books, Accelerate Driving School - Driving Schools Sinnamon Park has the expertise to assist you with all your driver education requirements. At Accelerate Driving School - Driving Schools Sinnamon Park our focus is delivering a high quality service at a competitive price to all our clients. You’re probably going to be excited and very nervous but rest assured as our instructors are patient and experienced in dealing with beginner drivers in both automatic and manual cars. We are also experienced with automatic drivers wanting to upgrade their skills to include manual.